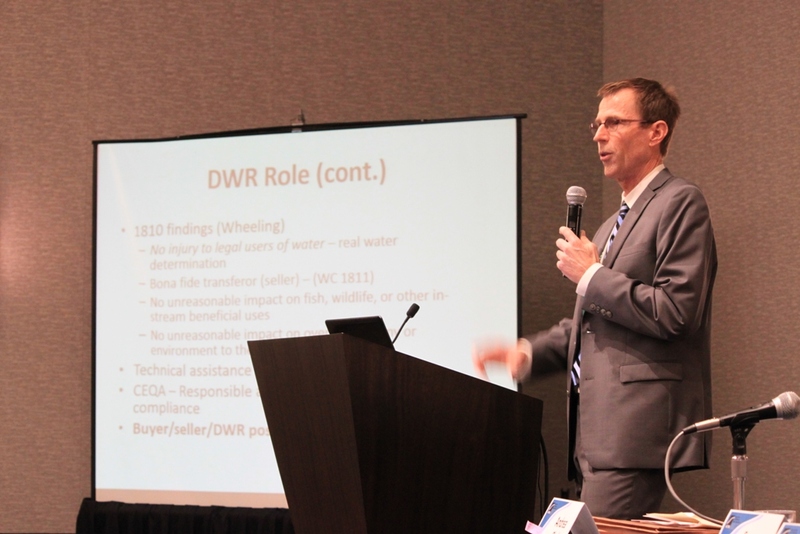 At the fall conference of the Association of California Water Agencies (ACWA), one of the most well attended sessions was the panel discussion on water transfers. 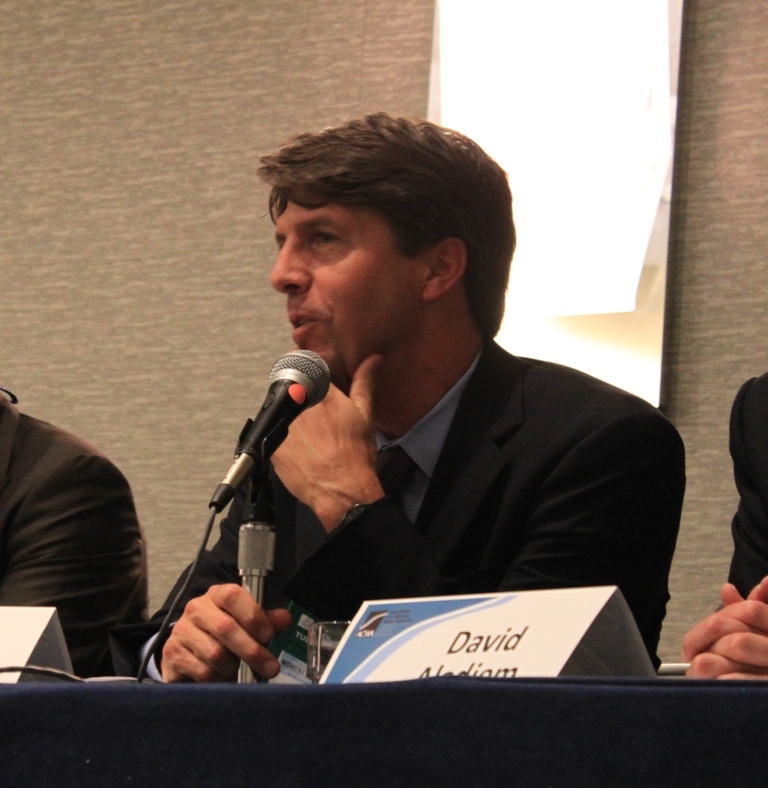 Attorneys Andrea Clark, Spencer Kenner, Andrew Hitchings and David Aladjem, along with principal engineer Darren Cordova discussed the legal framework and technical aspects of water transfers, how the exceptional drought conditions in 2014 affected water transfers, and the outlook for water transfers in 2015, should conditions remain dry, as well as their views on how the water transfer process could be improved. 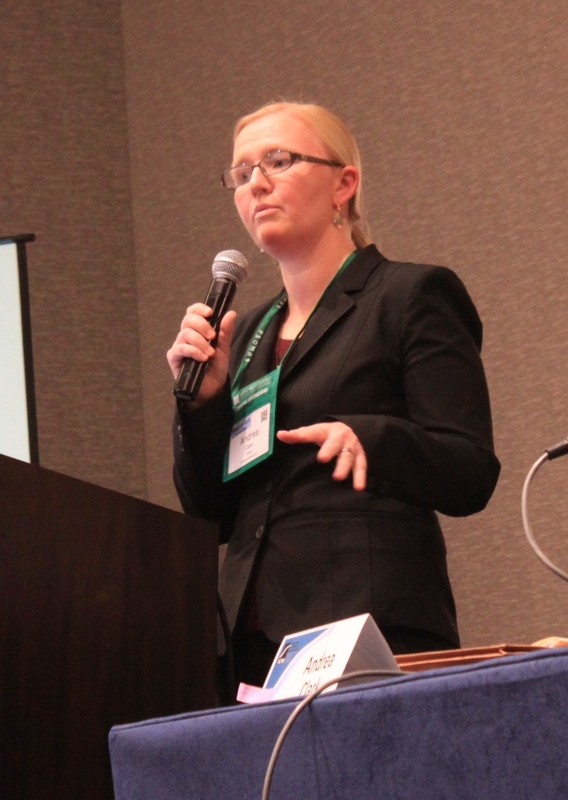 Andrea Clark, a partner with Downey Brand, kicked off the session with an overview on the transfer process. Groundwater substitution, which generally involves the transfer or declining to divert water from a stream, letting that water go past, and then pumping that same amount of water from the groundwater basin in order to continue the use over land. 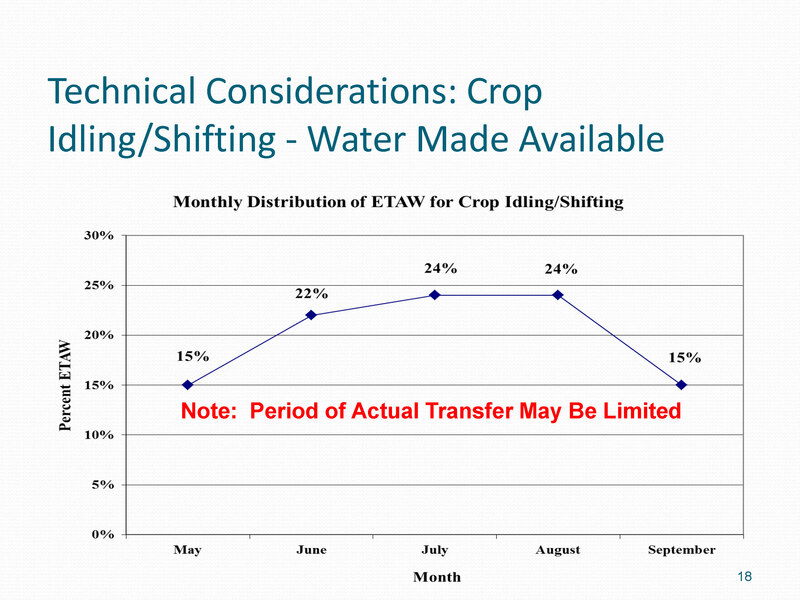 Crop idling and land fallowing which involves the transfer or declining to divert water from the stream and instead of pumping water to irrigate crops, letting agricultural land lie fallow for the season. Reservoir reoperation, another mechanism for making water available for transfers. 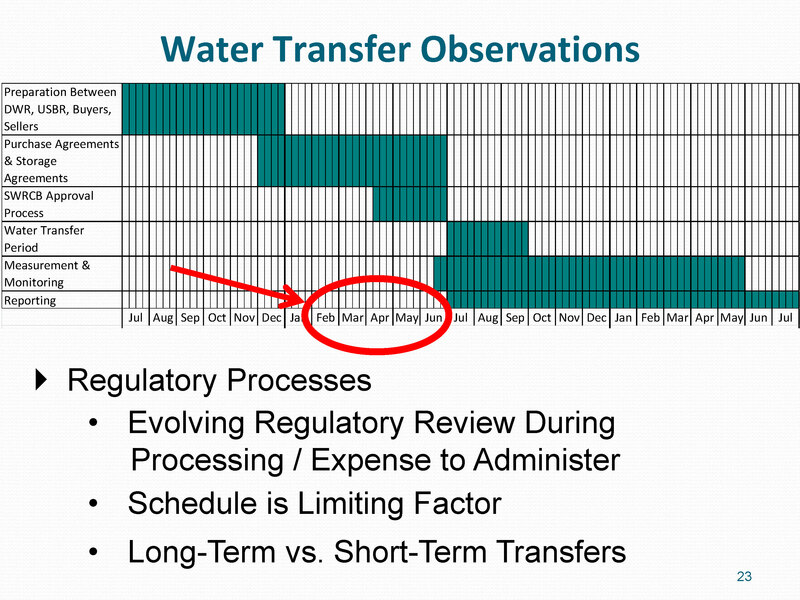 Ms. Clark said that there are several state statutes the govern different water transfers, depending on the type of water right underlying the transaction. “Importantly, Water Code section 1810 governs the use of excess conveyance capacity in public agency facilities,” she noted. 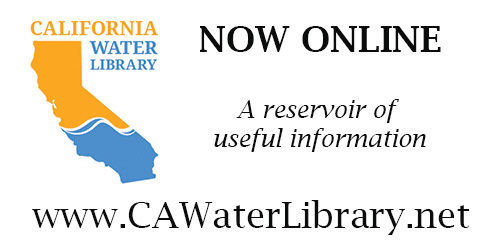 No injury to legal users of water: This rule protects other legal users of water and it protects all other users, not just prior or senior users on the system. “Over the last couple of decades, the state has implemented drought water banks in order to facilitate the transfer market by acting as both the buyer and the seller when there have been critical drought conditions, but there was not a drought water bank in 2014,” she said. 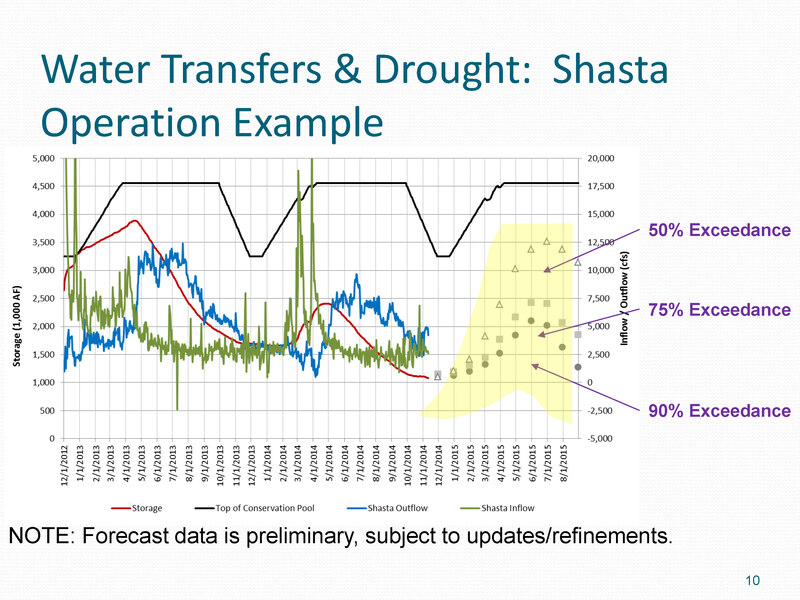 Spencer Kenner, Assistant Chief Counsel with the Department of Water Resources, then talked about the Department’s role in water transfers, how drought conditions have affected the 2014 transfer season, and if the drought continues, what DWR plans to do in 2015. 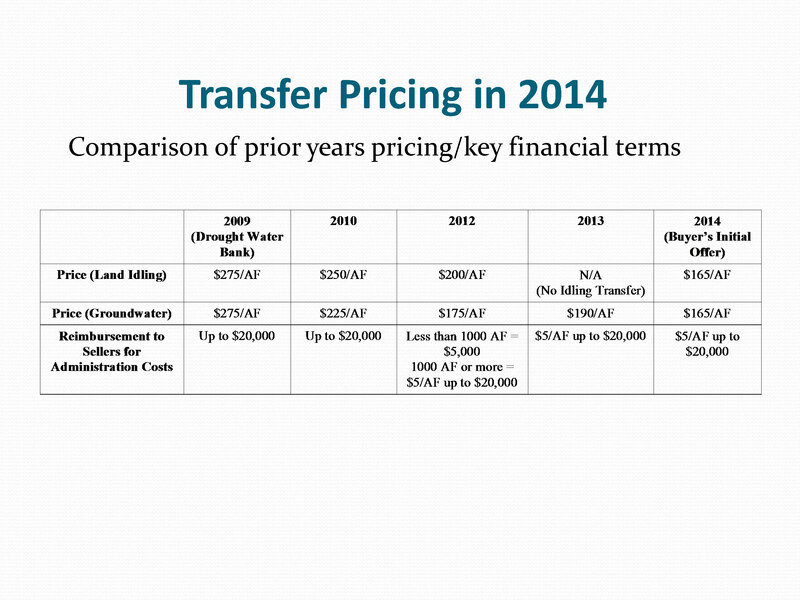 “Comparing 2014 to prior years in water transfers, it seems there was a marked difference between this year and prior years for a lot of reasons,” Mr. Kenner began. 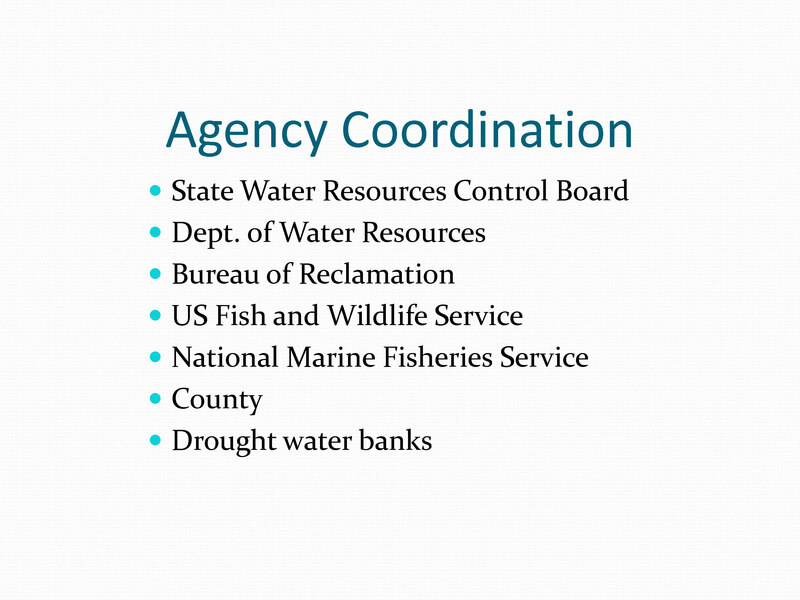 “There was just an extraordinary amount of cooperation, not just within agencies but among agencies.” The coordination between the water agencies, the State Water Board and the fish agencies was greatly improved through the RTDOT, or the Real Time Drought Operations Team; documentation was fast tracked, contract procedures were improved, and there were new outreach tools as well as buyer-seller meetings, he said. The Department of Water Resources did a better job than normal of working together, being nimble and creative, and following the charge of the water action plan to streamline transfers, he said. The Department of Water Resources brought in a consultant was brought in to make sure processes were streamlined as much as possible so there could be fundamentally sound transfers that were still protective of resources, he noted. 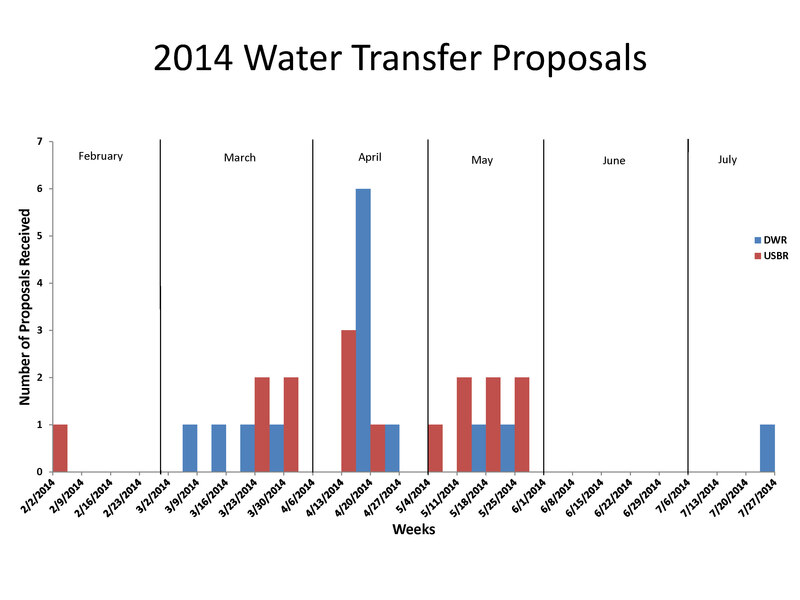 Mr. Kenner then gave some numbers on water transfers that occurred during 2014. 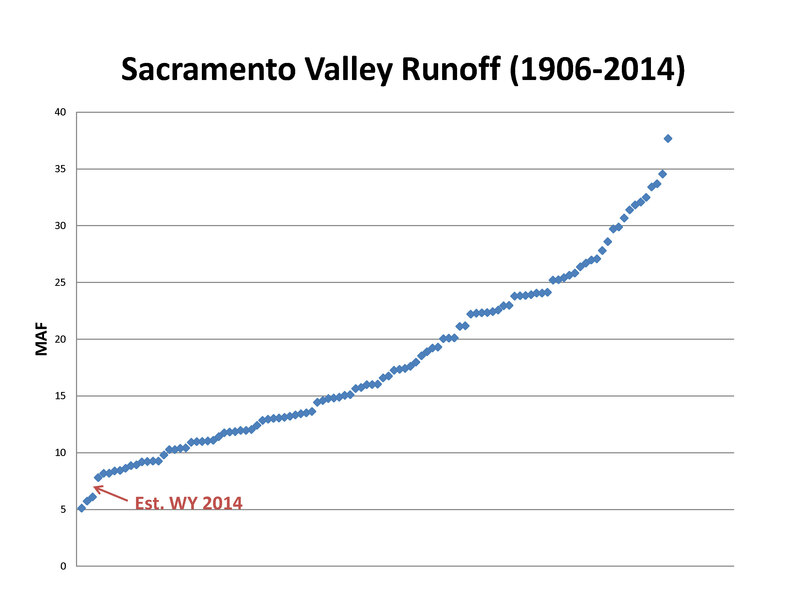 “This year we had overall nearly 500,000 acre-feet of water that was transferred,” he said. He noted that the State Water Project had 306,000 acre-feet of transfers; twelve were short-term and three were long-term. There were six crop idling transfers, seven groundwater substitution transfers, and five reservoir release transfers. One of the topics discussed at the meeting was how the Governor’s proclamation suspended CEQA for state agencies but not for local agencies. “I know that was a difficult issue for local agencies, especially when the state was off the hook but local agencies weren’t, and that created some problems,” he said. 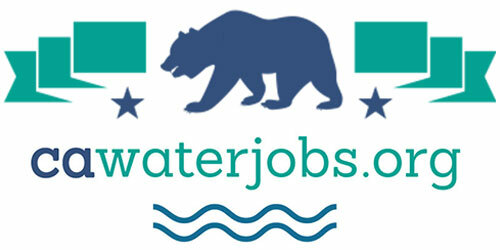 “DWR doesn’t have control over that sort of thing but that’s something that will be discussed if we move into another year of drought.” Other items discussed included developing a long-term EIR similar to what the federal agencies have, revising the three party agreements and the conveyance agreements to make them more streamlined and simpler, and the possibility of using forbearance agreements at the state level, similar to what the federal agencies are doing. 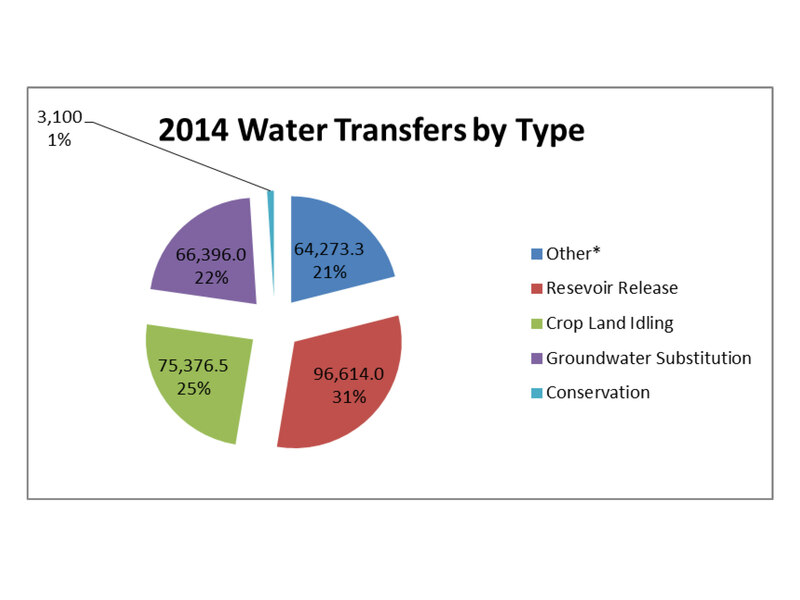 He then presented a pie chart showing the distribution of water transfers by use. 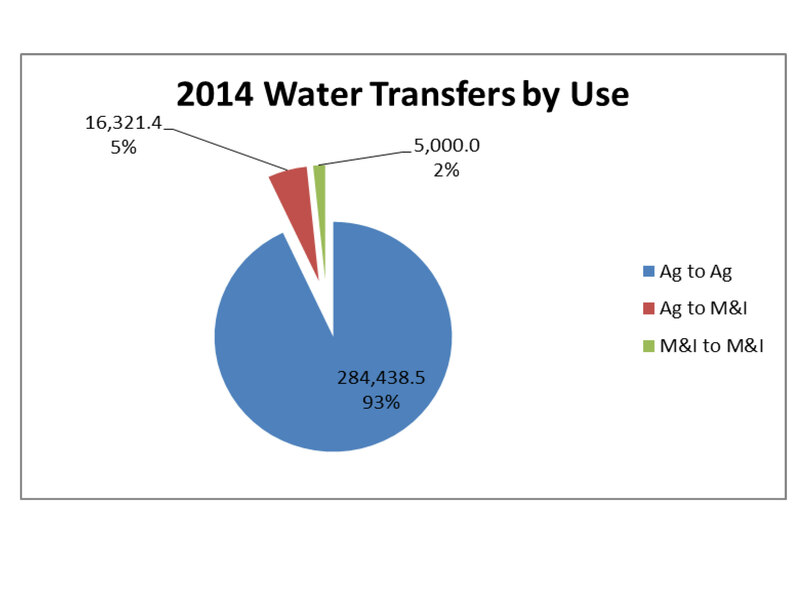 In 2014, 93% of the transfers were ag to ag, up from around 70% in 2012 and 2013. 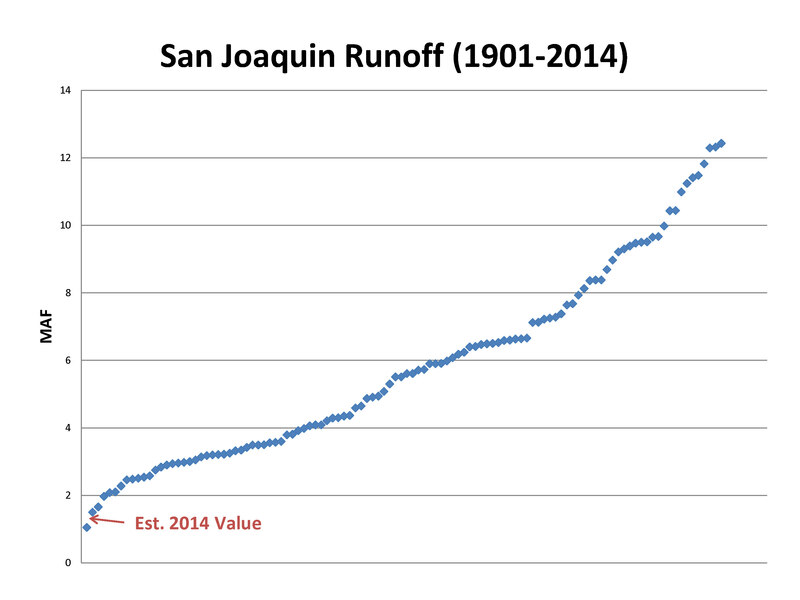 The overall amount transferred in 2014 was 306,000 acre-feet; transfers in 2013 totaled 268,370 and in 2012, transfers were 188,074 so significantly more water was transferred in 2014, especially compared to 2012, he said. 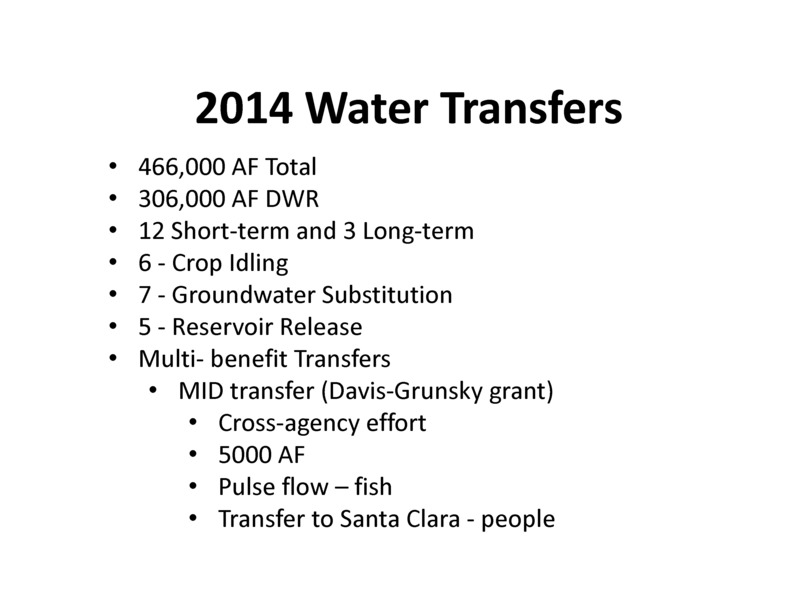 He next presented a slide of 2014 water transfers by type, noting they were rather evenly split. Darren Cordova, a principal with MBK Engineers, then discussed the key technical elements associated with water transfers. 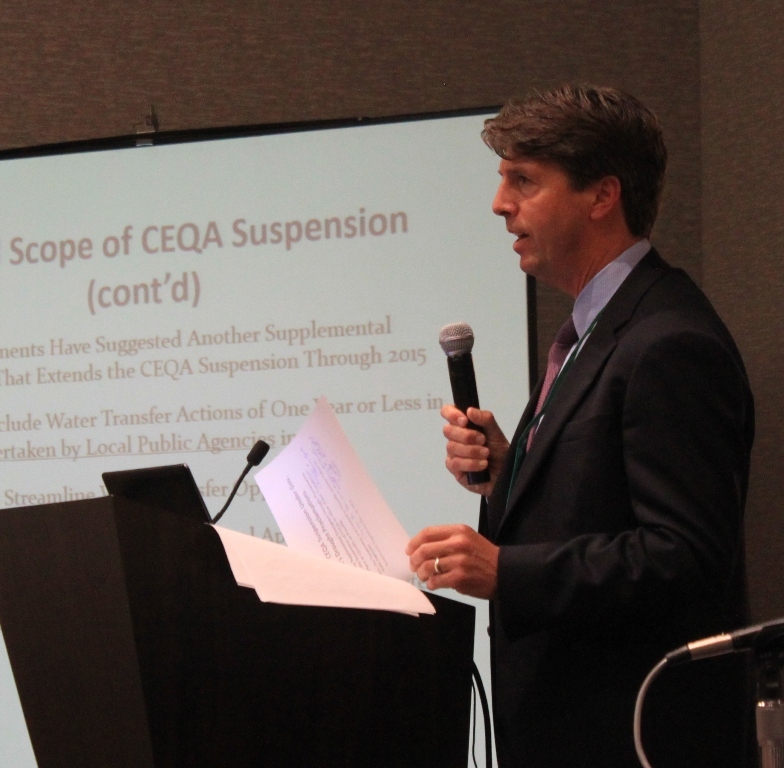 He noted that his perspective on water transfers that primarily comes from a transferor’s perspective, primarily through Delta water transfers, or upstream of the Delta to downstream of the Delta. He noted that at one point, they were notified that there may not be funding available for DWR to conduct groundwater level monitoring, but fortunately, DWR was able to come through with the funding to do groundwater level monitoring in order to support the transfers. “This really helped put in a key piece that limited the overall expense to the transfer participants and allowed important monitoring to continue,” he said. He then discussed the three methods of making water available of transfer: groundwater substitution, crop idling, and reservoir releases. 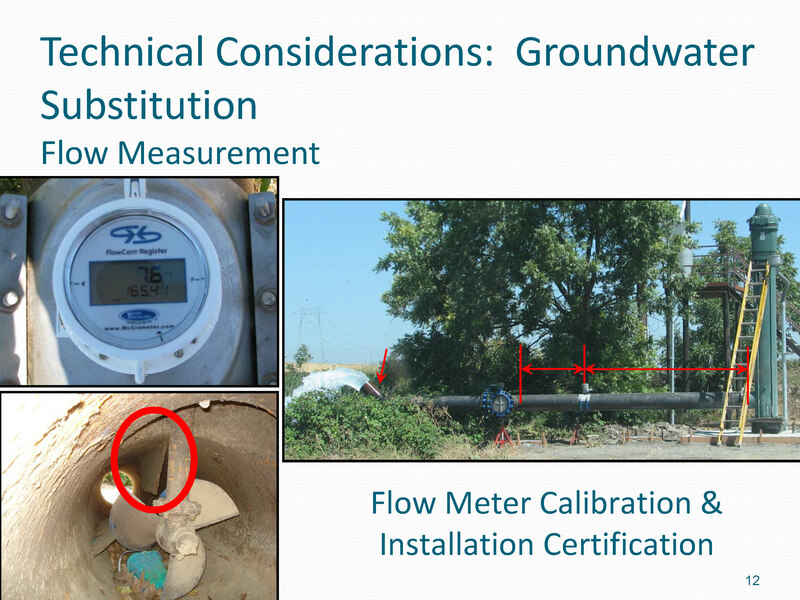 “Groundwater substitution involves pumping groundwater from a well for use upon land in lieu of diverting surface water, thus making that surface water available in the stream for transfer, subject to other limitations,” he said. 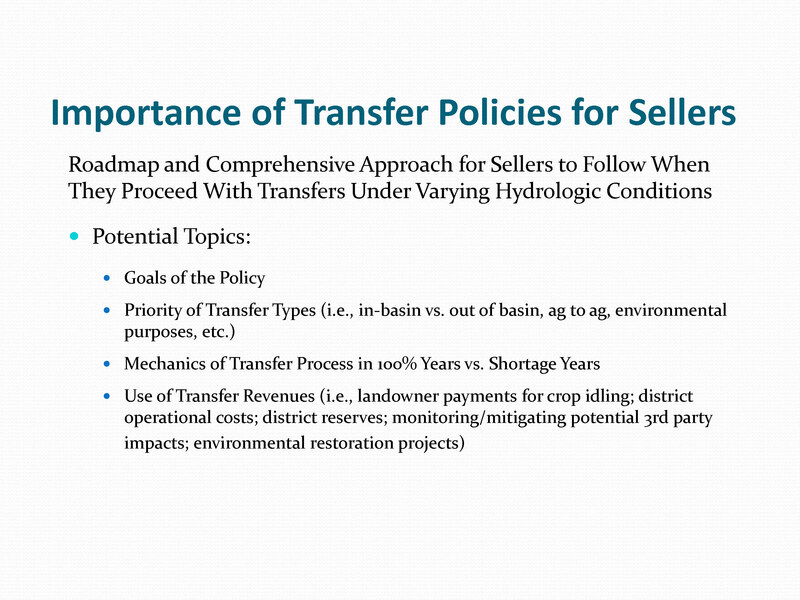 “The requirements are important: The sellers involved in transfers need to make sure that their discharges at the groundwater wells include the proper measuring equipment so that we know the quantity because the quantity is important. 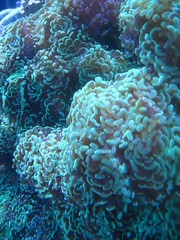 Many of them need to go through and retrofit their wells and there’s an expense associated with that. 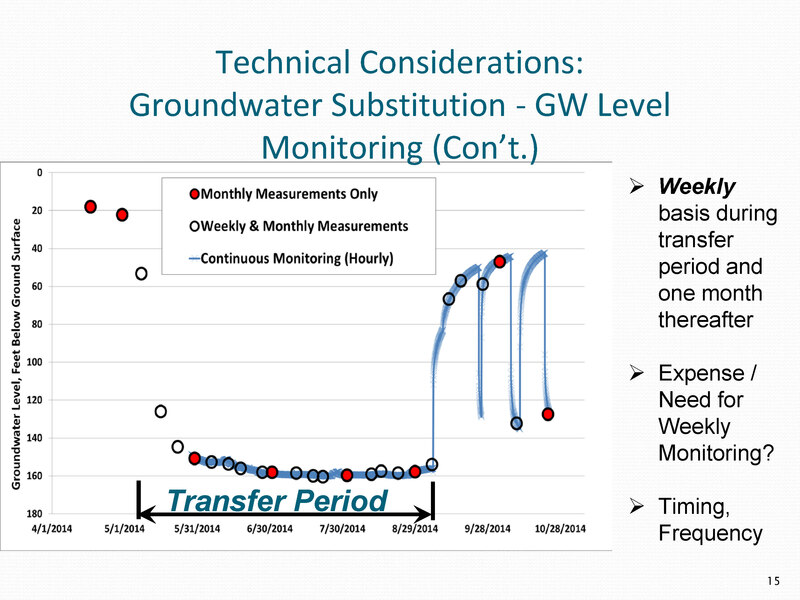 Ultimately, it just adds more time to the transfer process so we have to start as early as we can.” He noted that other considerations with monitoring include energy use, hours of operation, water quality and groundwater levels. 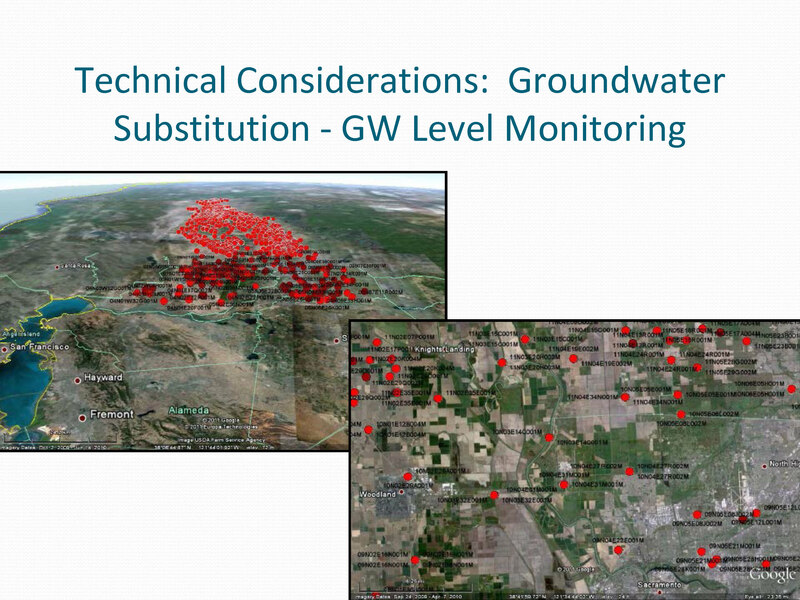 Other important issues that need to be considered, relative to groundwater substitution transfers, are groundwater and surface water interaction, decreased groundwater levels due to persistent drought, land subsidence and air quality. Giant garter snake and other terrestrial habitat are other considerations associated with crop idling and shifting transfers include giant garter snake and other terrestrial habitat, he said. Also, Water Code Section 1018 involves preserving or encouraging leaving some natural vegetation on idled fields; another consideration is how to quantify that water use by the natural vegetation, and how that impacts transfer quantities. 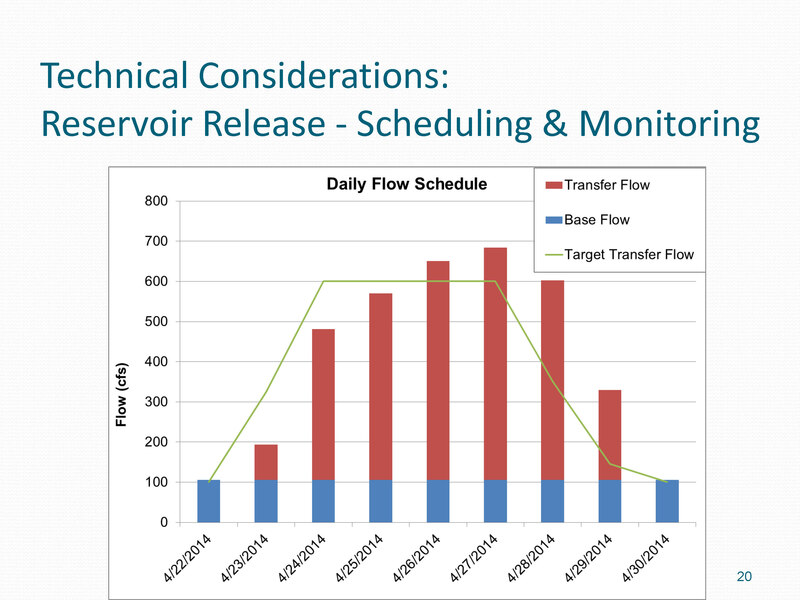 “Reservoir release type of transfers, involve releases of water from storage that would have otherwise been held in storage in order to make that water available for downstream water users,” Mr. Cordova said, presenting a graph of a daily flow schedule for a reservoir release transfer. 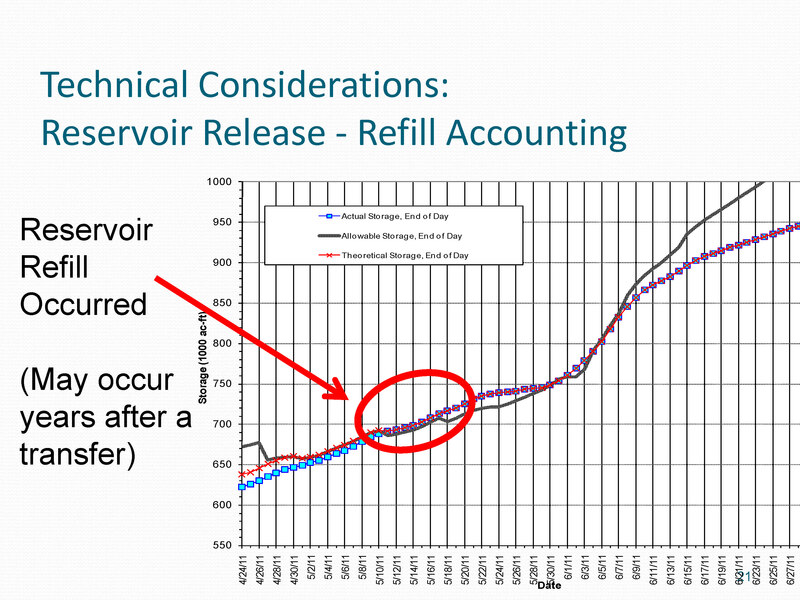 He noted that the green line represents the target flow for the reservoir releases, the red bar shows the actual transfer quantities on a daily basis, and the blue bars show a base flow against which the transfer quantities are measured. Andy Hitchings, an attorney with Somach Simmons and Dunn, started out with the disclaimer that these are his views and not necessarily the views of any of the clients he represents. 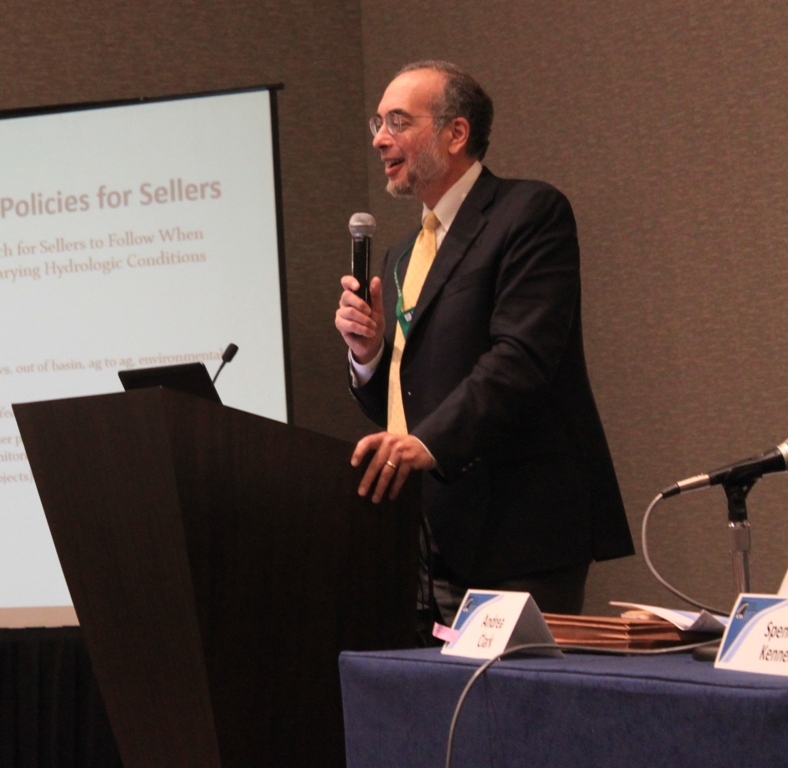 He also noted that he typically represents sellers in the Sacramento Valley. 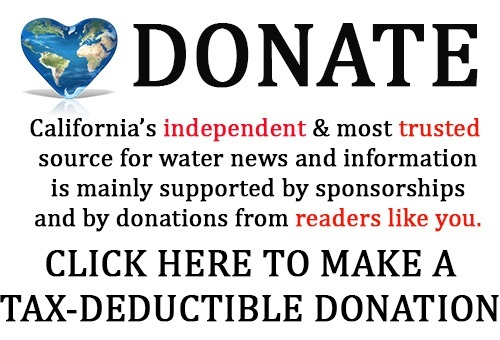 “On the State Water Project side, while there aren’t forbearance agreements that were used, there is a three-party storage and conveyance agreement; then there were two party purchase and sale agreements for those transfers as well,” he added. 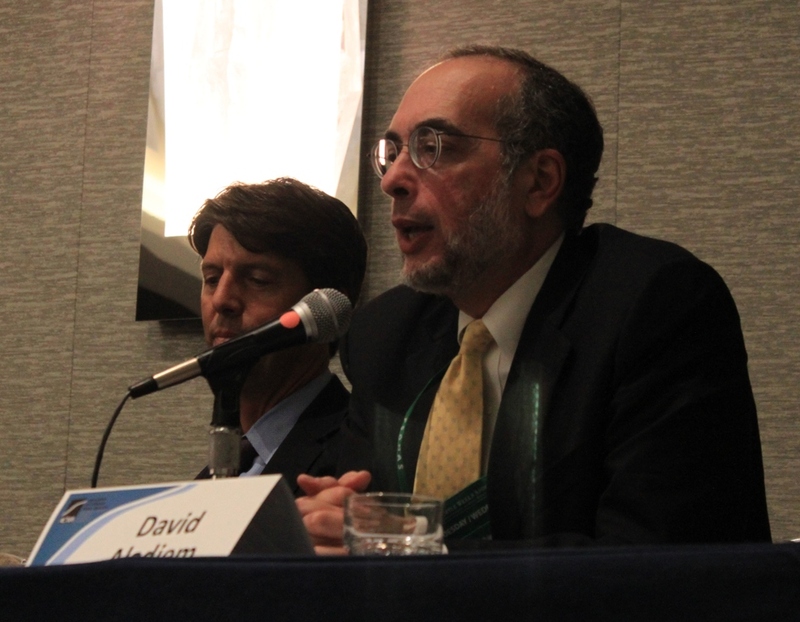 David Aladjem began by saying that the views he would be offering are his own and not to be attributed to Downey Brand or any of their clients. He said he was asked to step back today and offer his views on what we are doing as a state and where we should potentially going with water transfers. Mr. Aladjem noted that Mr. Kenner had mentioned that the Department of Water Resources, like the Bureau of Reclamation, is talking about a long-term transfer deal. He then offered his suggestions of that components would go into that. 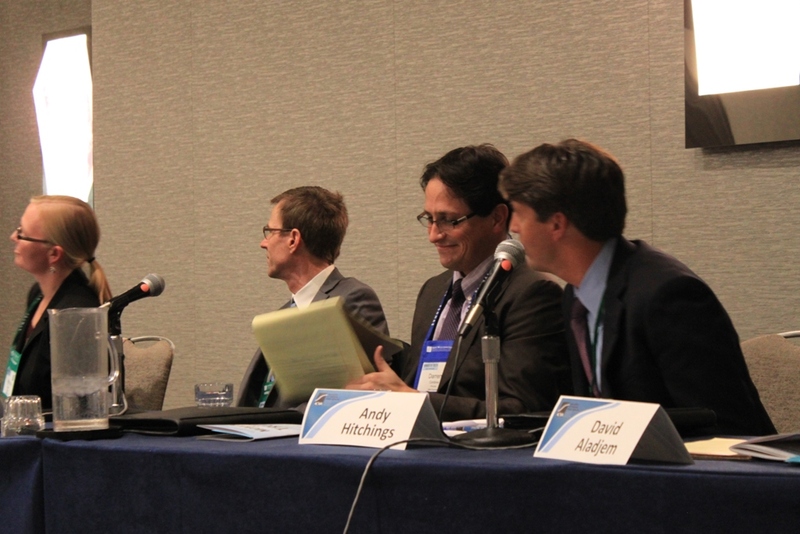 During the question and answer period, the panel was asked what impact they thought the Sustainable Groundwater Management Act will have on groundwater substitution water transfers. View the panel’s power point presentation by clicking here. 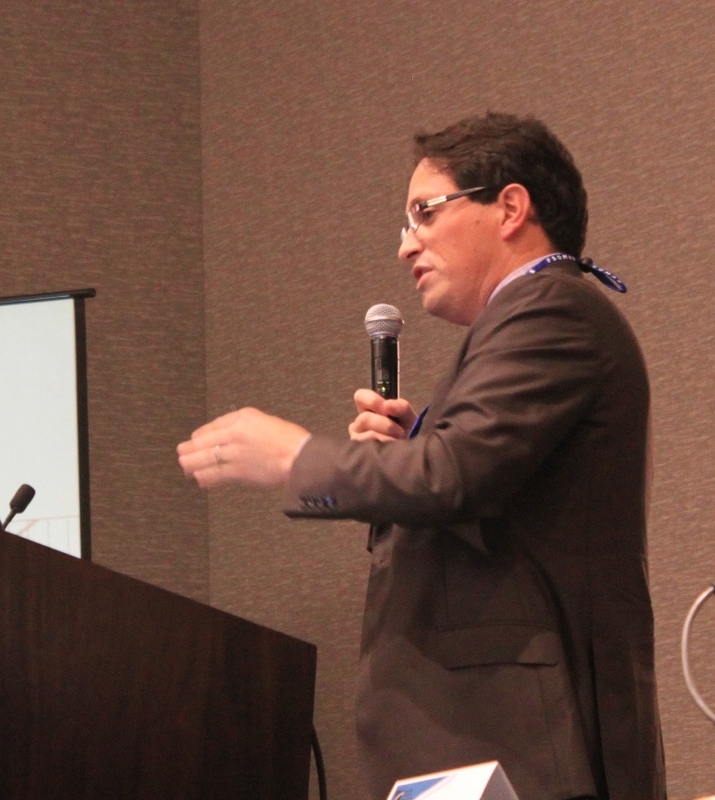 View Spencer Kenner’s power point presentation by clicking here.